This post deserves good looking pictures. That's why it take me quite a while to post it. 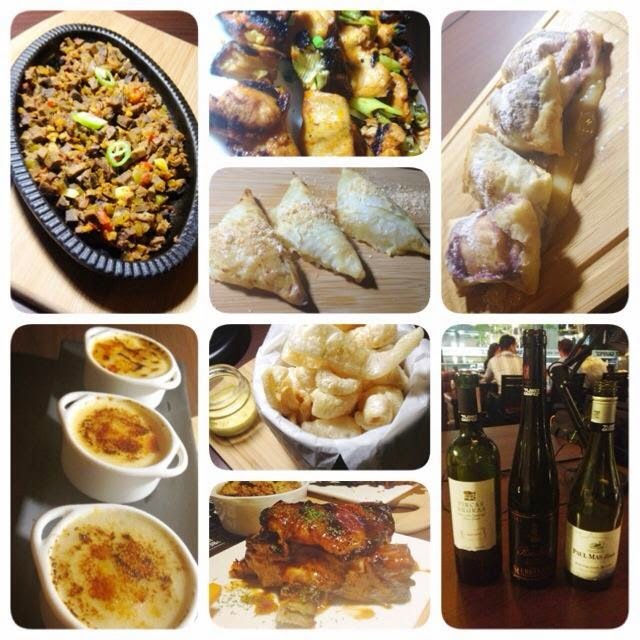 I want to give justice to the food especially to the place who serves not just quality food but wines too. I hope my pictures are decent enough. 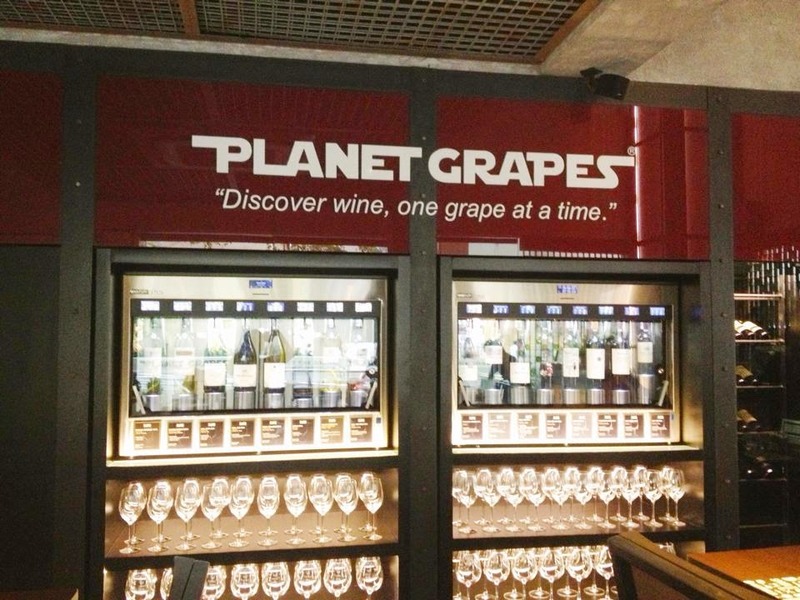 PLANET GRAPES: "Discover wine, one grape at a time"
Planet grapes was opened last 2013. 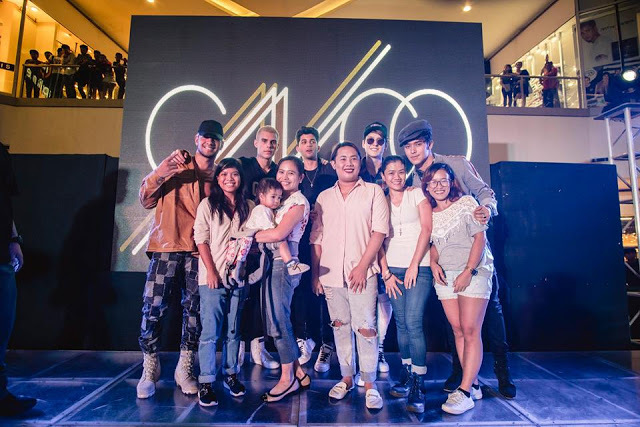 Right now they already have 4 branches from Mckinley Hill, Cebu, River Park Alabang and Shangri-La. 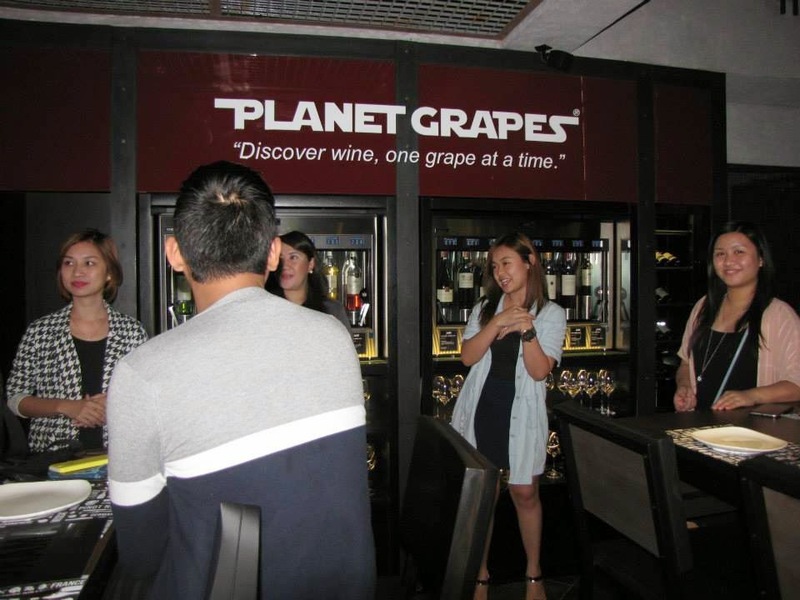 Planet Grapes caters to anyone who wants to enjoy wine without the drama. 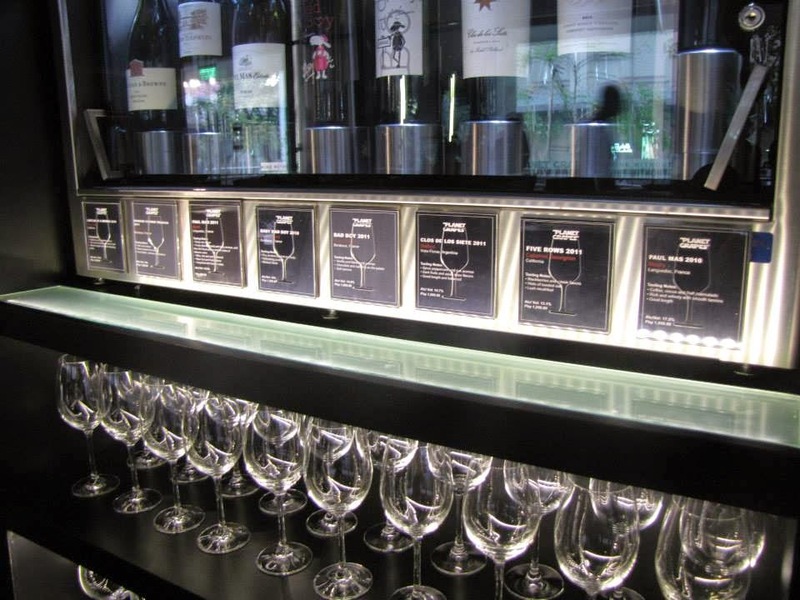 It is a place where budding wine enthusiasts can discover wine, one grape at a time, with no anxiety or judgment. 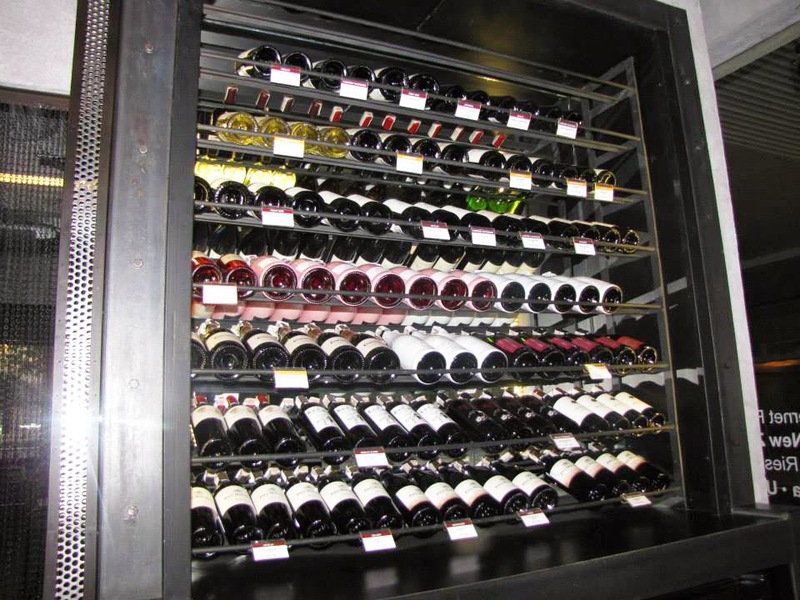 Premium store locations are chosen strategically to make wine conveniently accessible to all who might grow to love it as we do. 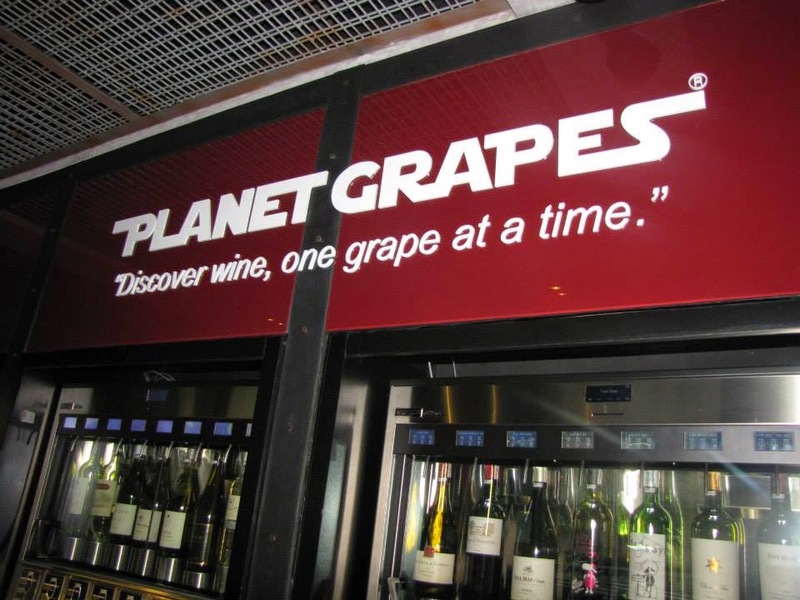 Planet Grapes is casual, comfortable and creative. 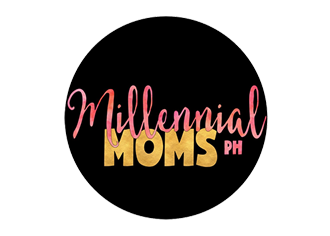 We aspire to nurture the next generation of wine lovers in the Philippines. 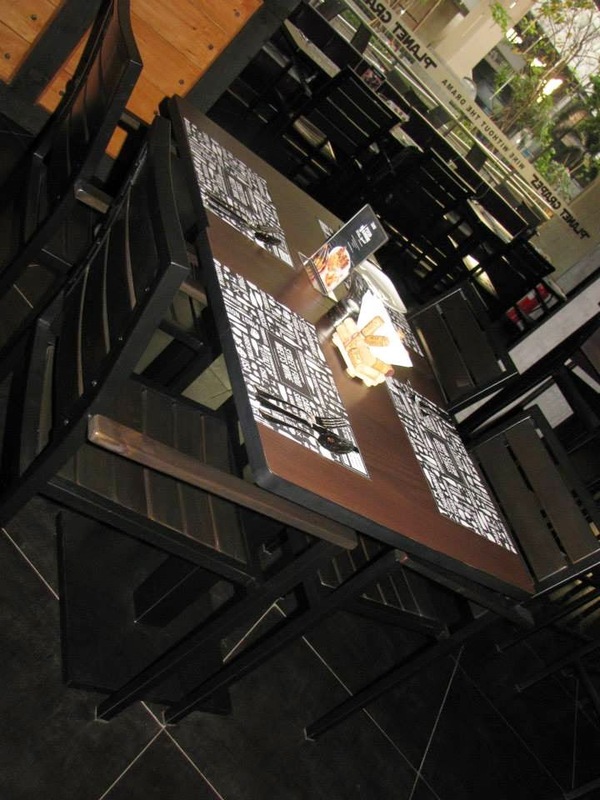 I love how classy the place & comfortable at the same time. Though I hate the tall chairs, it was really hard for me to get on and off of it. Ha Ha Ha Pandak kasi! 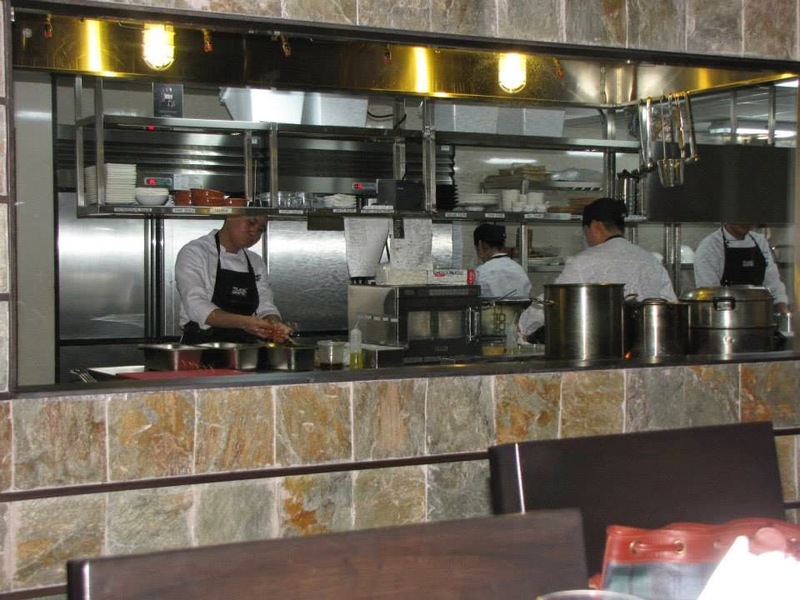 The kitchen also has a window where you can see the chef preparing the menu. 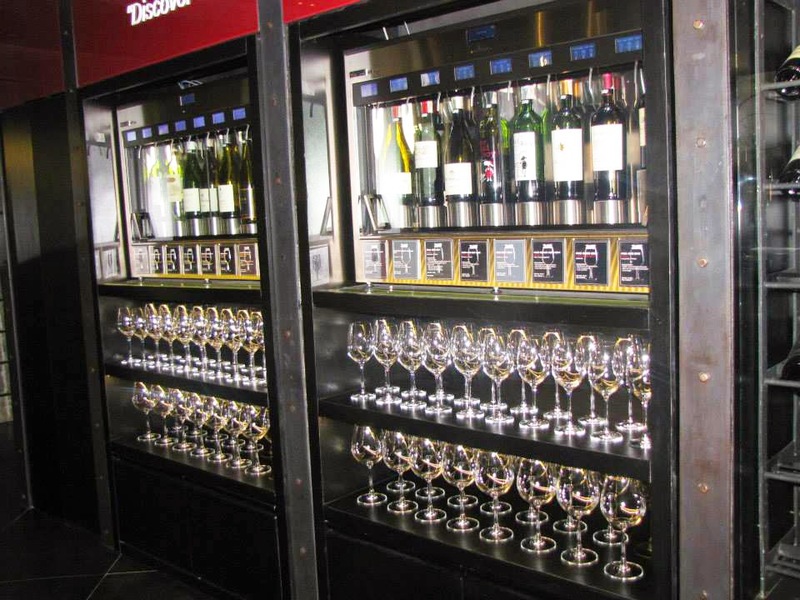 There are wine dispensers "vending machines" where you can try their wines on sip, half and full glasses. 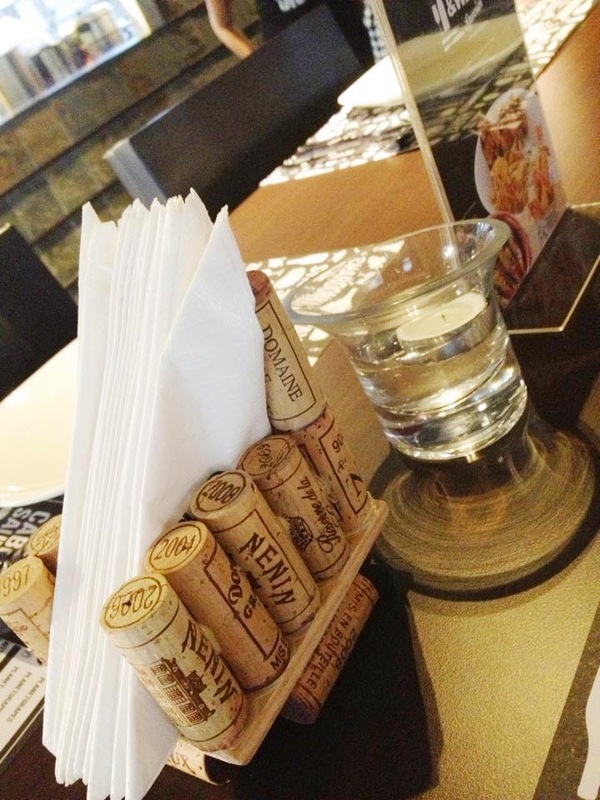 The napkin holder that was made from corks also caught my attention same as the chandeliers that are made from bottles. Let's go to the food! Here are the list of dishes that was served that day. Each dish is paired with wine. I don't know much about wine but I am not a first time drinker. 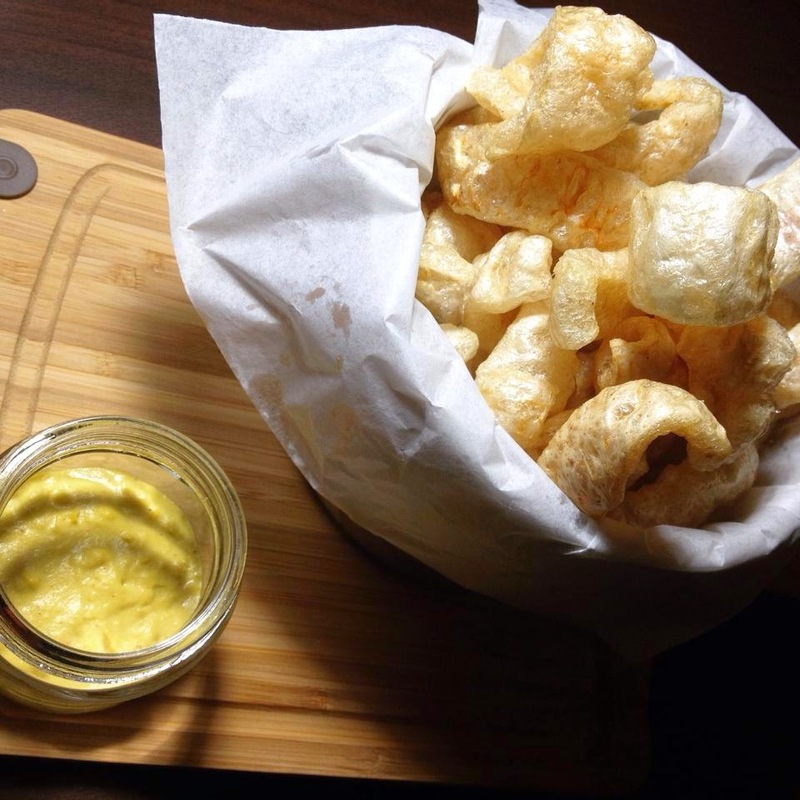 The first was the Chicharon with Tinapa Dip. Imagine Chicharon is made from pork and Tinapa Dip from fish but they complement each other very well. I can't help but to munch at it over and over. And the dip is unforgettable! I even dreamt about it! It was a great combination to start the menu. Now its their fault that I am craving for Tinapa Dip everyday. Next is the Red Hot Bopis. It's not spicy, don't really expect from its name. 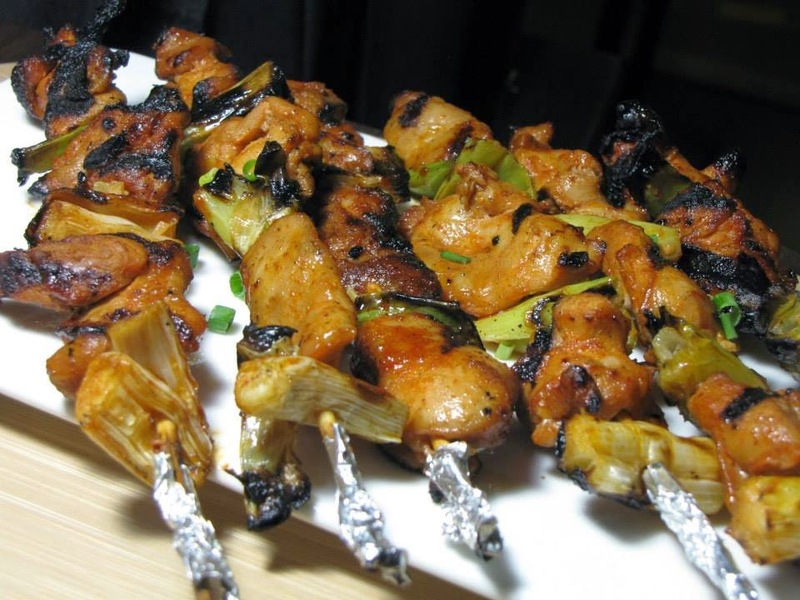 They served it intentionally to be on mild spicy because you will be pairing it with a wine. If its very spicy and your tongue got burnt, you will not tastes the best of it. 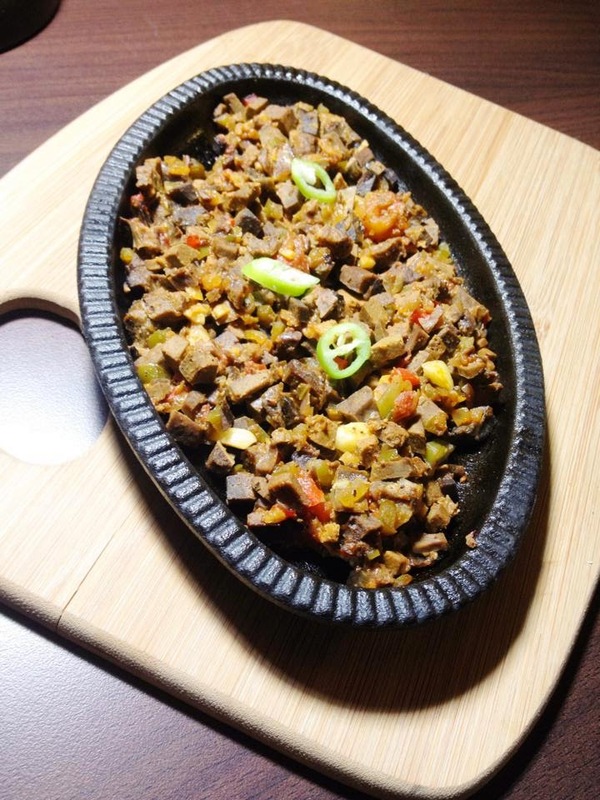 But according to them you can adjust the spiciness according to your desire though they will recommend to have it on mild spicy. 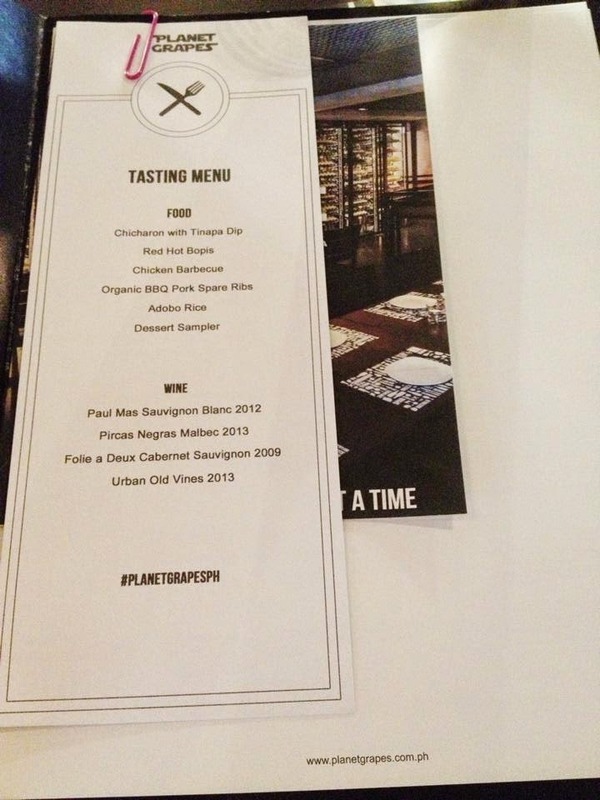 The first 2 dishes were paired with Paul Mas sauvignon Blanc 2012. 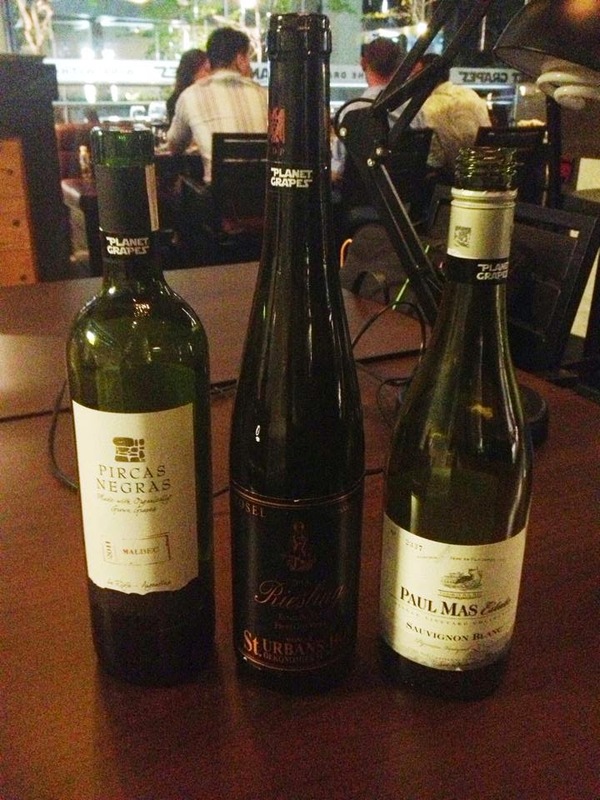 Paul Mas 2012 has a citrus fruits aroma & has an alcohol content of 12.5%. 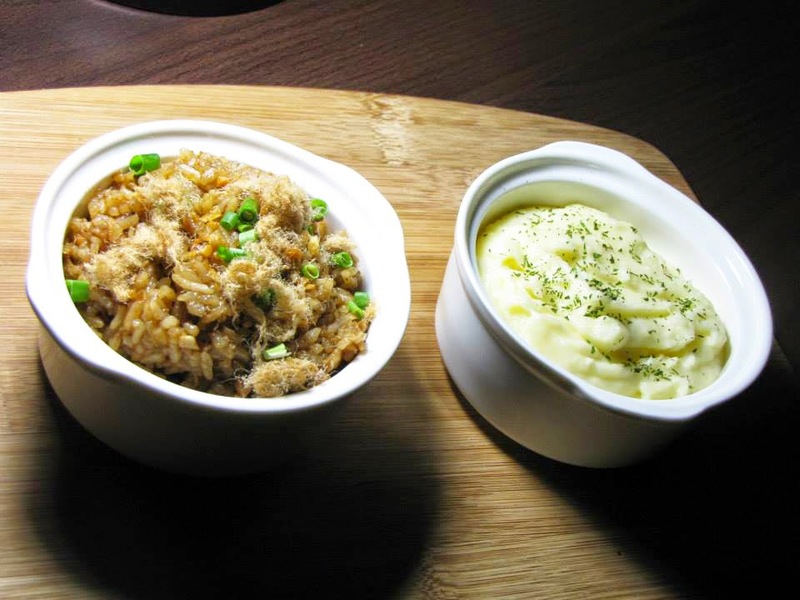 Then Adobo Rice & Mashed Potato was served for the side dish of Organic BBQ Pork Spare Ribs & Chicken BBQ. 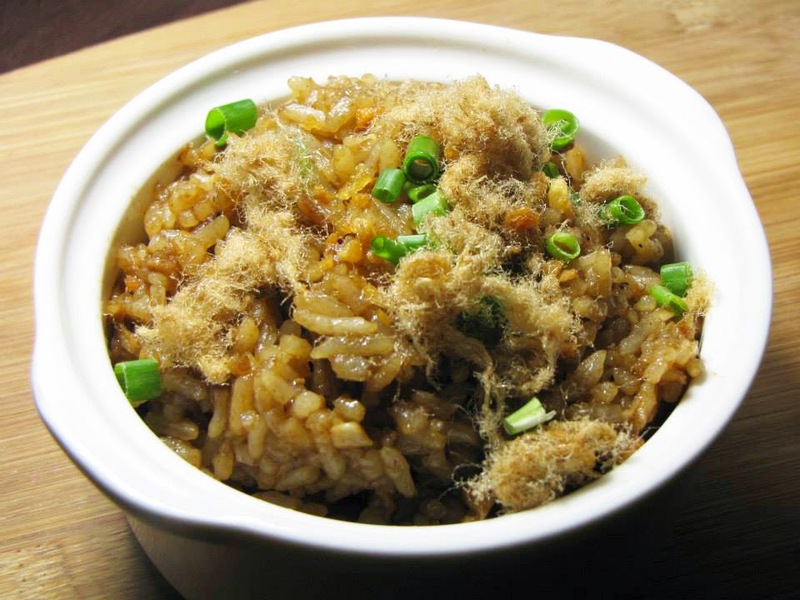 The Adobo Rice was full of flavors & top off with soft floss. You can eat it alone. Kanin lang ulam na! 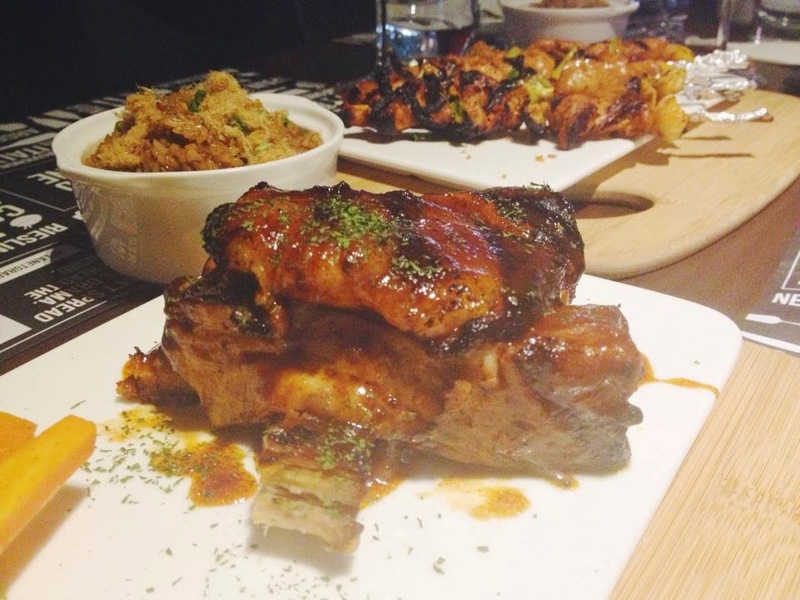 Next dishes that was served were the chicken bbq & organic bbq pork spare ribs. The main stealer of the day was organic bbq pork spare ribs, it was baked to 2-3 hrs then grilled to perfection. It melts in your mouth! It has the right seasonings. The BBQ sauce really caught me! I really love it! I wish I can take it home so my partner can taste it too. The chicken bbq on the other hand is just a normal bbq for me. Though it was cooked well & was soft as you take a bite from it. It also has a little spiciness. We paired it with Pircas Negras Malbec 2013. Pircas Negras 2013 has a black cherry & plum aromas with 12.5% alcohol content. Finally its the desserts! 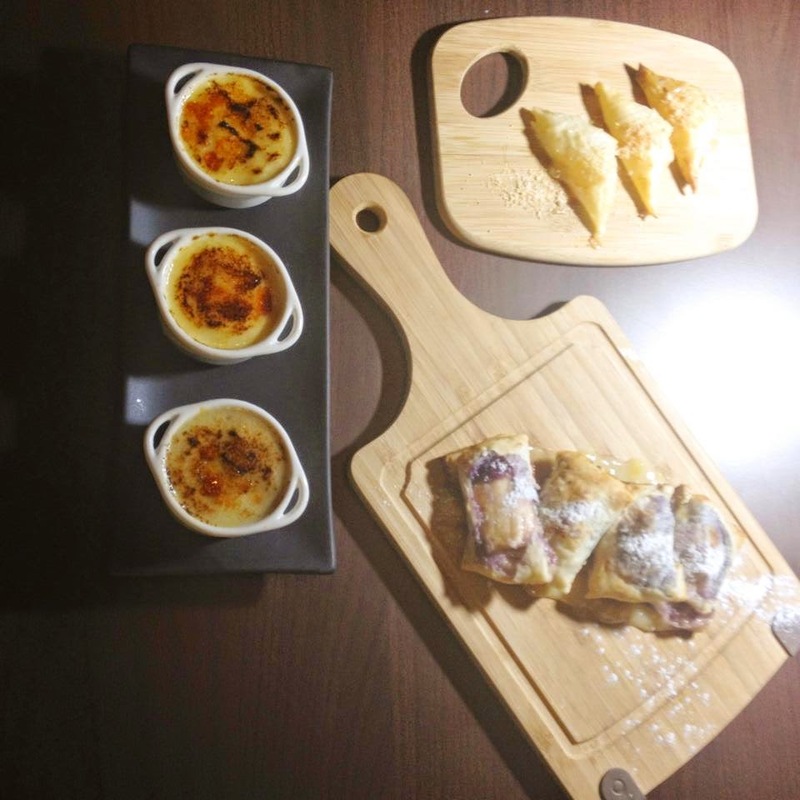 The Dessert Sampler that was served were buko pie bites, turon trilogy & creme brûlée with 3 flavors: classic, banana, & durian. 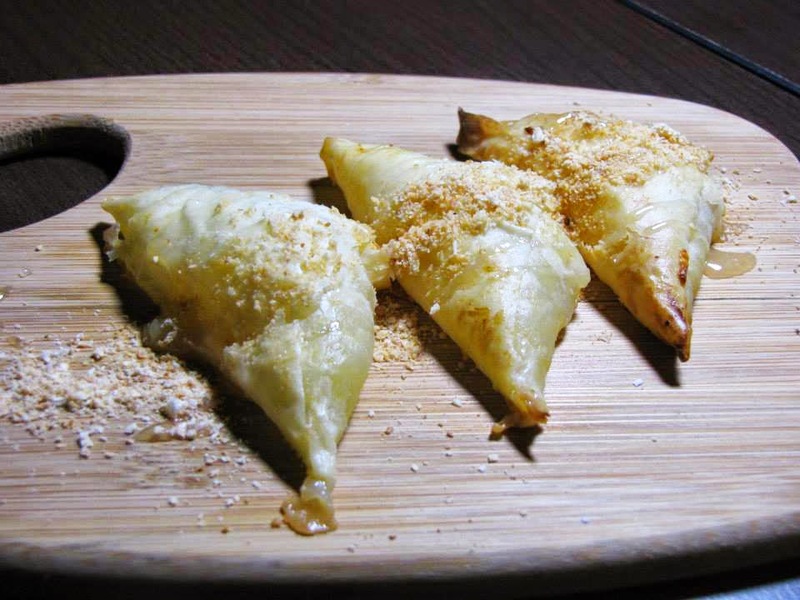 Buko Pie Bites has a soft crust with fillings that are not too sweet. 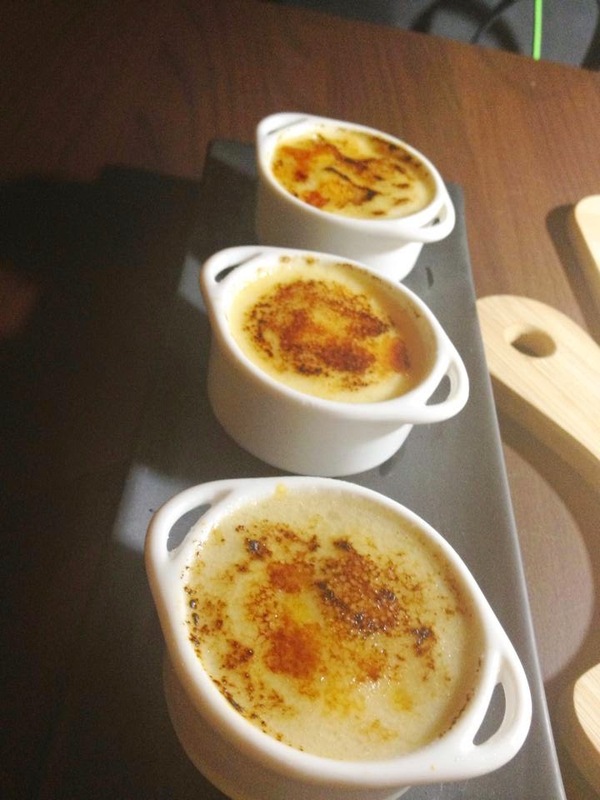 The creme brûlée are not bake but chilled. I only got a spoonful of Turon Trilogy, it was gone so quickly. No doubt about it, because it was a pocket full of yummy flavors. 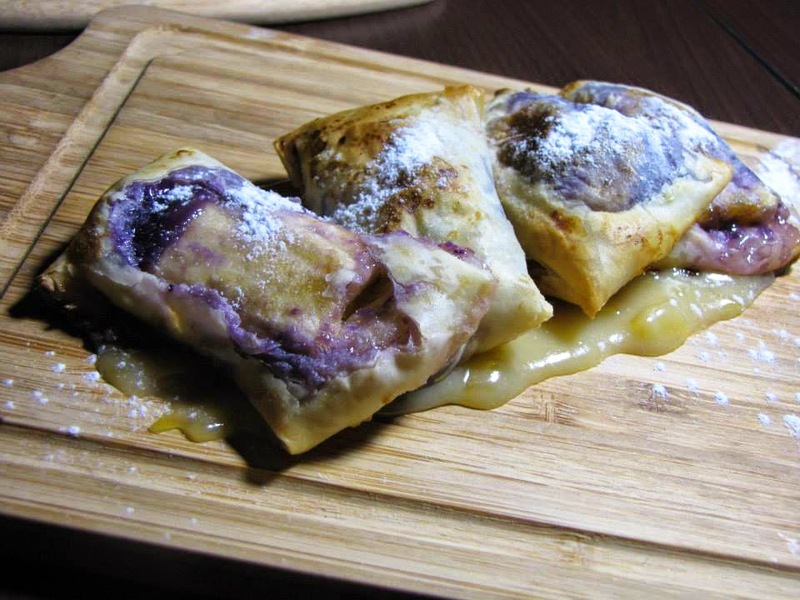 It's banana, violet yam and jackfruit caramel. It's not fried but baked. I love all the desserts! But I loved the creme brûlée classic flavor more and paired it with Folir a Deux Cabernet Sauvignon 2009. 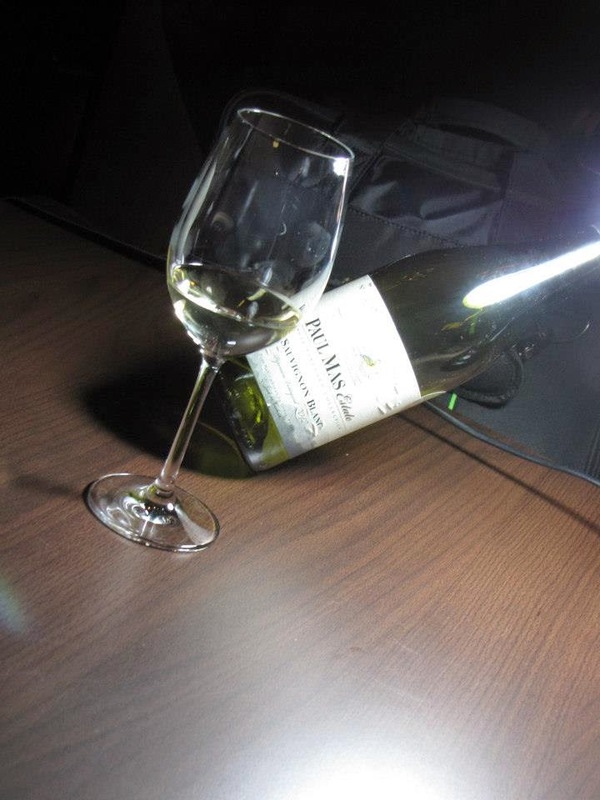 It was the first time that I tried pairing desserts with wine. And the best word to describe it is perfect! I was really amazed on how they tasted so well together. Overall it was a great experience. 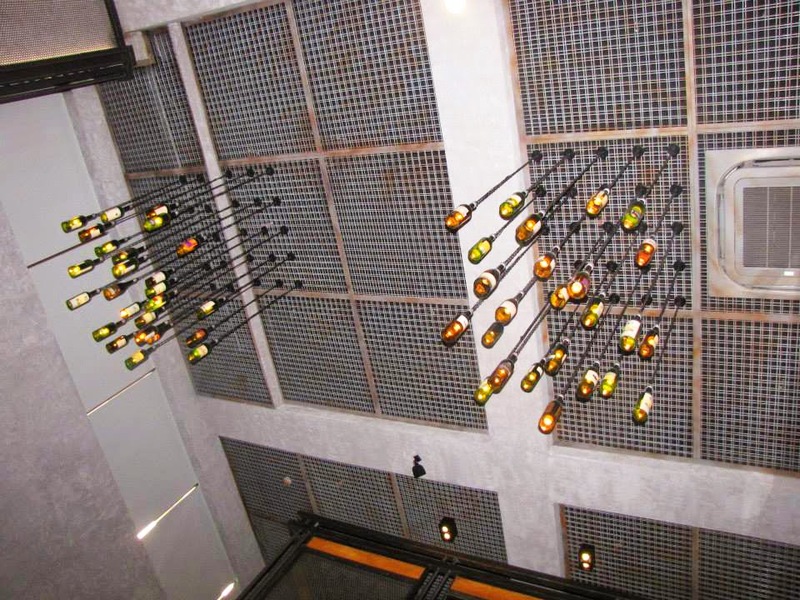 The ambiance, the food, and the wines are beyond expectations. The staff too was well knowledgeable on what to pair with the wines. I also learned something that wines are not only paired with meat but was also good with desserts. 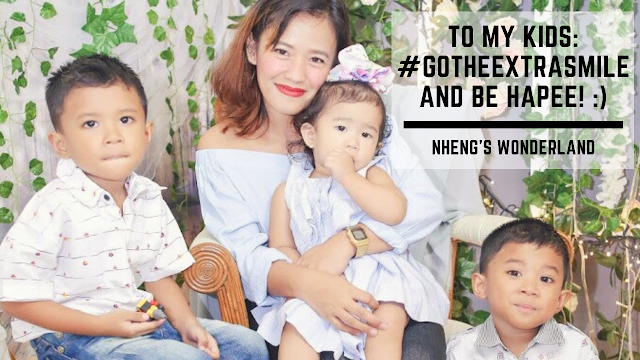 No enough words can explain how grateful I am to be invited to this one of a kind foodie meet up. I will recommend this place to the people who love pairing food with wines. And to those who don't drink wines, I dare you to try this place and experience something unusual. 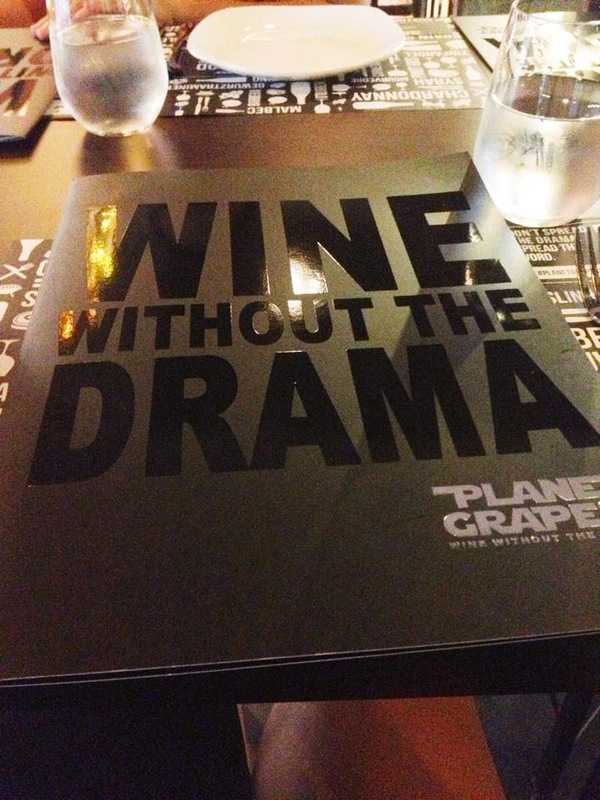 Discover wines & enjoy it without the drama. Special thanks to Planet Grapes & Zomato.